Thanks to Dave and Leo at Ocean Leisure for hosting this event and for helping the night go so well and to Alex Mustard for his opening address and support for the book. Click here for details about “Winning Images with Any Underwater Camera” by Paul Colley. 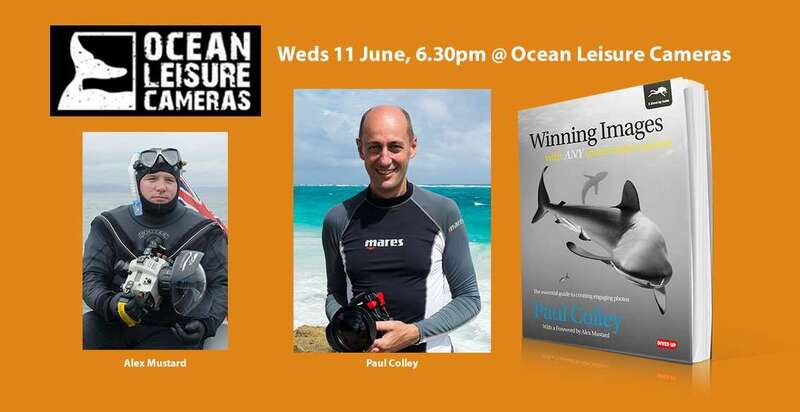 International award winning underwater photographer author Paul Colley will launch his next book, Winning Images with Any Underwater Camera: the essential guide to creating engaging photos, at 6:30pm on Wednesday 11th June at Ocean Leisure Cameras in London. Alex Mustard will open proceedings with his thoughts about the book, for which he wrote the foreword, judging that it will ‘…arm and inspire you to transform your underwater photographs, whatever camera you use’. 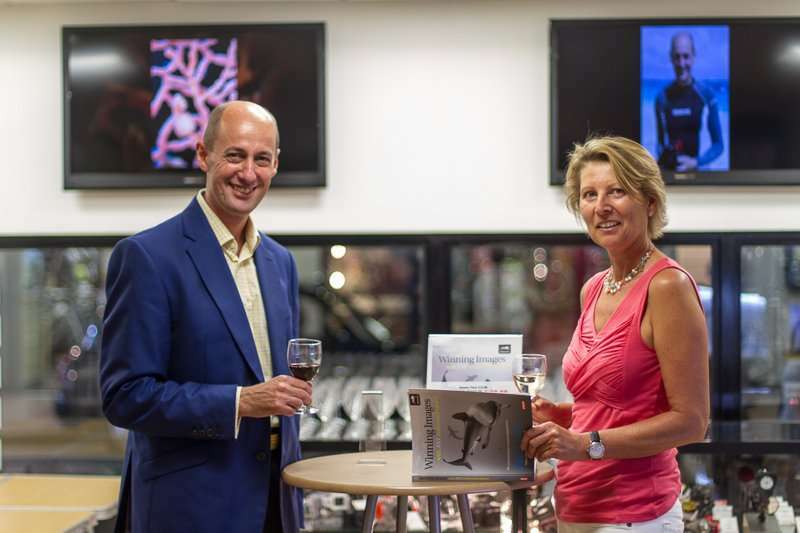 Indeed it is already receiving rave reviews, with Nigel Wade of Diver magazine saying ‘“Winning Images” is destined to be the compositional bible for underwater shooters‘. Paul generously extends an open invitation to the launch, so drop by to enjoy a drink & light bite on June 11, when you will meet some of the UK’s top underwater photographers and have an opportunity to buy a copy of this important new book, which Paul would be delighted to sign for you. Ocean Leisure Cameras is next to Embankment tube station. Dived Up publishes books for scuba divers, freedivers, snorkellers and anyone else interested in the underwater world. We aim to increase your enjoyment in the water by putting our passion and experience into our titles. Wherever you dive, whoever you dive with, and however you like to do it we should have something for you. Whether you need a new log book, want to improve your underwater photography, learn more about diving equipment, or visit a new destination. We offer FREE UK Delivery and low international rates.